Isolation, comfort, and seclusion. 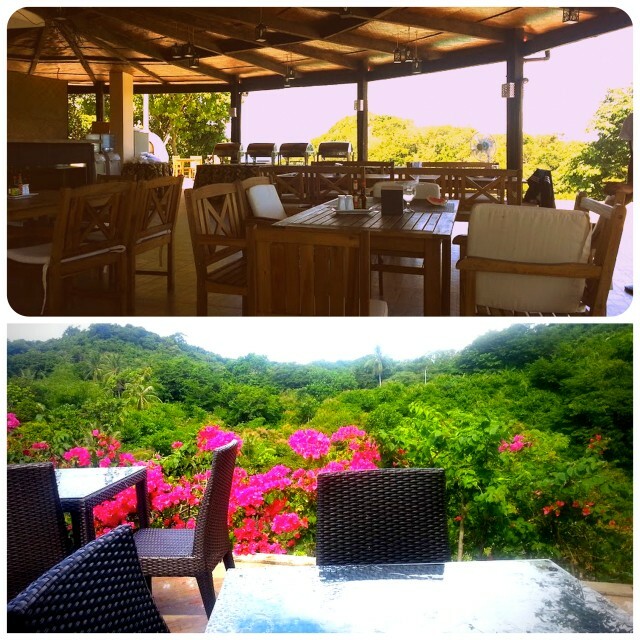 Those are they key things that attracted me to Tugawe Cove Resort and that is why I chose it for our trip to Caramoan. 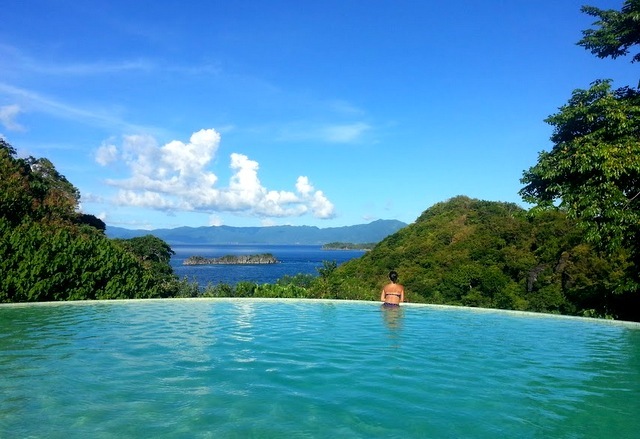 This resort is relatively new and is starting to make its name known as more travellers try to venture into the Caramoan islands. 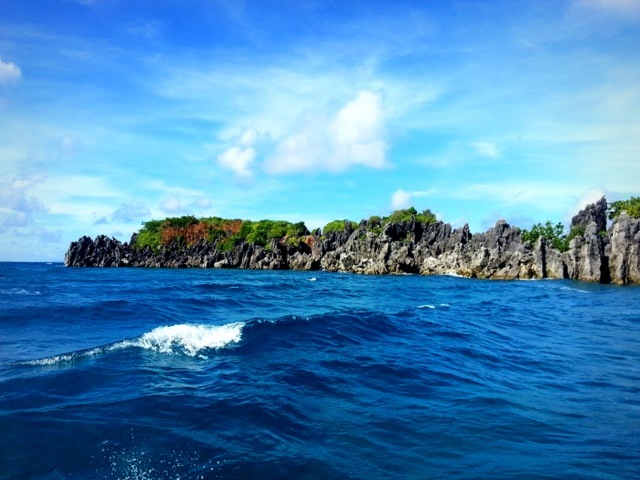 Prior to arrival, all my correspondence with Tugawe Cove Resort had been online via email. They advised me of the complexities of arriving and leaving the resort. It’s not an easy place to get to and out of (lesson learned the hardest way later on). 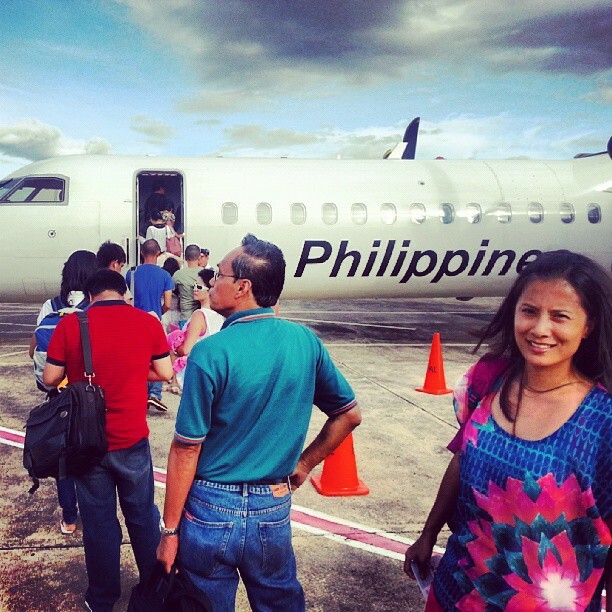 From Manila, we took the plane to Virac. 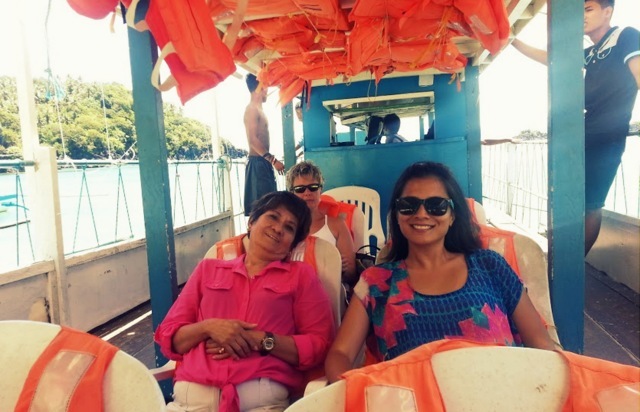 From Virac Airport, we were picked up by a private vehicle (SUV) to the pier, a drive which took about 40 minutes. From the pier, we got on a boat to get to Tugawe Cove Resort. 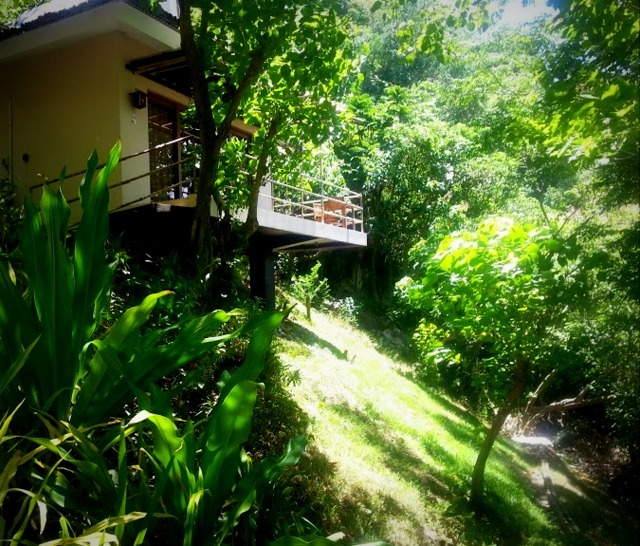 The entire resort located in a hilly peninsula. There are 3 types of room groups in the resort. 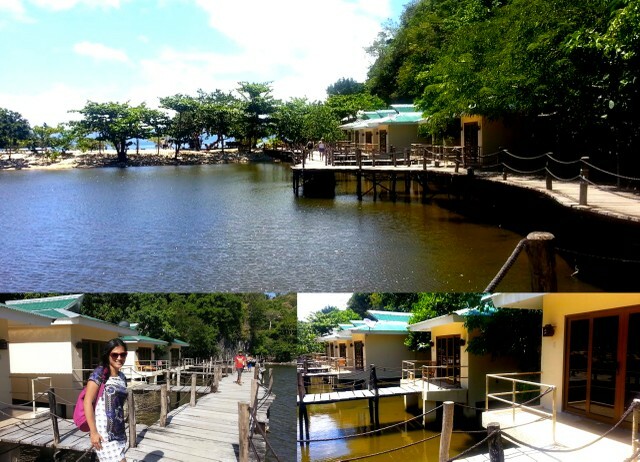 The very first one are the Lakeside Cabanas (below). They are the most beachfront rooms. 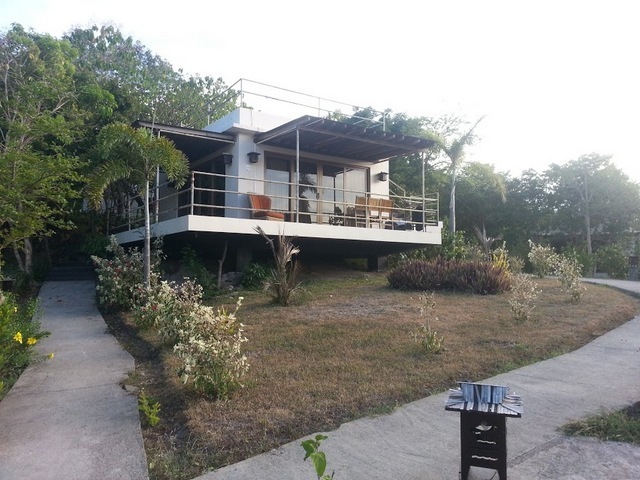 While it may seem to be a good location as it’s closest to the water, bear in mind that Tugawe Cove Resort is an all-inclusive accommodation (you have no choice you are in their island), and the restaurant is on top of the hill. You will see what I mean as we go on. The last type of rooms are the Hilltop ones. As the name implies, these are the rooms that are at the very top of the hill. 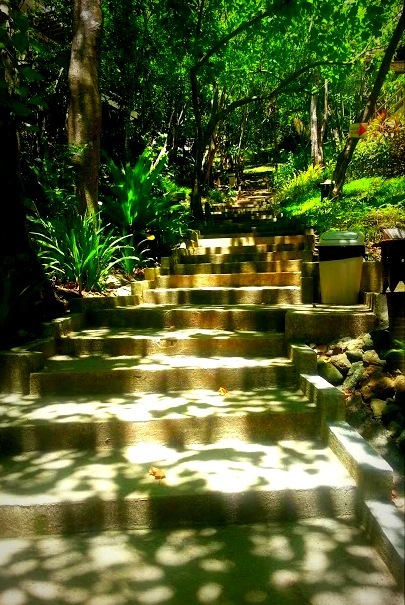 We stayed at the Hilltop room, and while it is the closest type of room to the restaurant, it also meant that whenever we went island hopping , we had to trek climb up the steep hilly stairs once more. 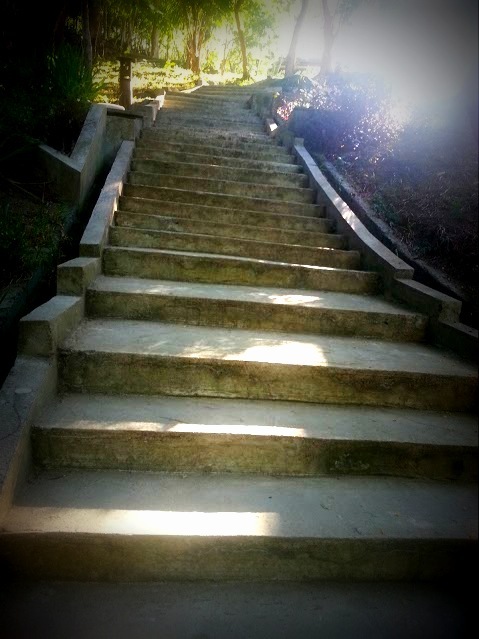 I’m not the fittest person but I’m not totally unfit either, and the stairs did leave me out of breath, but it WAS a good workout! This was our Hilltop accommodation where we stayed for 2 nights. I really loved how the rooms / units were very spread out from one another. You really get your privacy. I loved this bathroom! The angle may not have done it justice but this was really spacious. And I loved the wooden walls and floor the most. 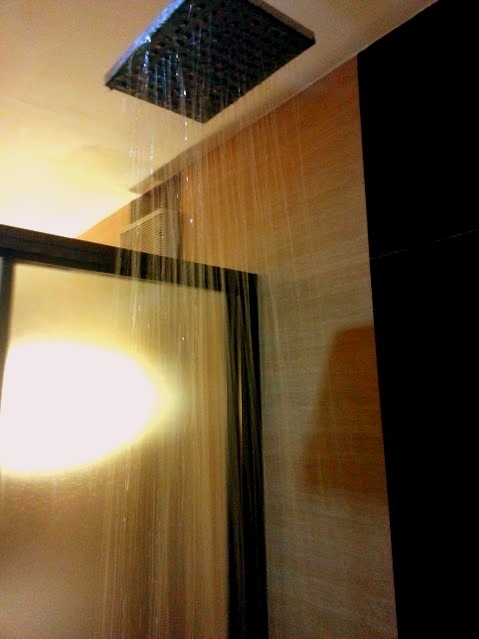 The shower area had tiles that have a wooden feel to it too. Everything worked perfectly. The only thing that bothered me is the exhaust fan that was so loud it sounded like it’s about to take off whenever you switch it on. That’s the restaurant and dining area of the resort, where all guests go to three times a day for meals. 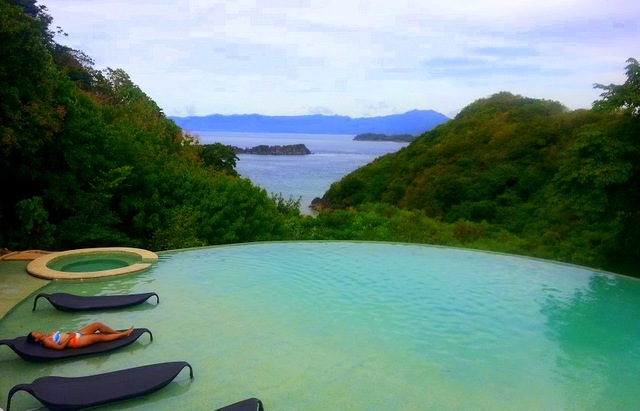 Now remember how I’m jaded about all-inclusive resorts (but the one in Coron not only disproved me but blew me away)? Well this one set me back on my track, where I am of the opinion that all-inclusive deals have mediocre food. In this case though, scrap mediocre. Food was bordering on terrible. All soups and sauces were a mix of corn starch + MSG. The dish on the bottom right was meant to be chicken coconut curry but the sauce had neither coconut nor curry , all it had was chicken with a glaze of cornstarch based sauce. You really have no choice though as there are no other nearby restaurants. I’m not a picky eater at all, and you know I love my food. The cooking reminded me of Home Economics class. in high school. A bunch of 15-year olds attempting to make no-fail classics like Calamari, Chicken Curry– all met with our Cooking teacher’s disapproving smirk. The ambience where we ate was really lovely though. when good food is missing, there’s the view to enjoy at least! It would have been nice to slowly and lazily eat your meals , especially as it never gets crowded in the dining area. But alas, all the meals didn’t have that ‘let’s-linger-by-the-restaurant-some-more” feel. It was quite the opposite. Kevin is the resident black hornbill of the resort. 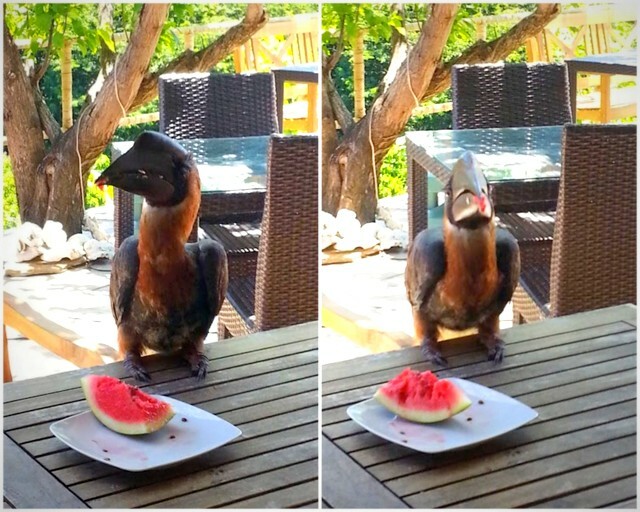 While he is ‘tame’ in the sense that he knows that he lives in the resort and doesn’t need a cage or leash, he also bravely hops up on a table and will take a peck of your fruit. While I’m glad that he doesn’t seem to be scared of people ( a sign that he is not being treated shabbily or abused), I don’t think he should be freely allowed to table hop while he is not fully tamed. One afternoon, Kevin flew to our room balcony and started pecking at my bikinis that were being hung out to dry! Without a doubt, Tugawe Cove Resort’s pool is it’s great redeeming glory. It was pure bliss to be soaking in the warm pool water after a full day of snorkelling. 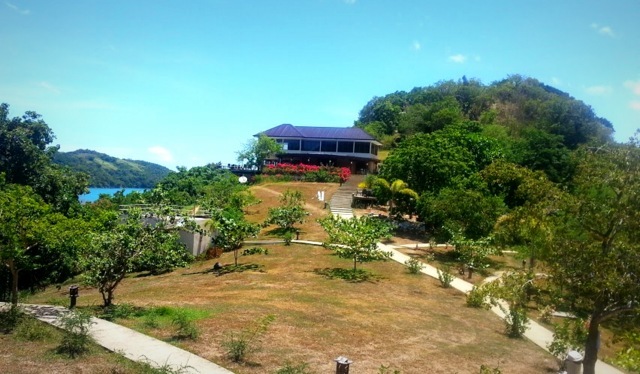 Tugawe Cove Resort really is a photogenic and picturesque place and I really love the amenities. You can tell that things are still new. One thing I really dislike in customer service are over-eager and overzealous staff who are slick for tips. And then there’s the type of customer service that’s all the way on the other end of the scale. Tugawe Cove Resort offers and prides itself (as per their website) on their so-called “Butler Service”. Where they assign each room a designated “butler” for the entire stay. Now I’m going quotation mark-crazy here because , here let me say it — I appreciate the designated kind of service, but Please, do not call them butlers. Because they are not. At least ours, a very slight female named Blanca, wasn’t. While she was very polite, she had a very reluctant personality and didn’t have an ounce of enthusiasm even about Caramoan. It wasn’t just her though. Most of the staff, the ‘frontline’ ones – waiters, “butlers”– none were rude but it just seemed like they didn’t want to be there. The best level of service we got at the resort came from the first guy who met us (when we were alighting from the boat), who temporarily filled in for Blanca (the designated “butler”) while she wasn’t in yet. He at least volunteered information and seemed happy to be around people. 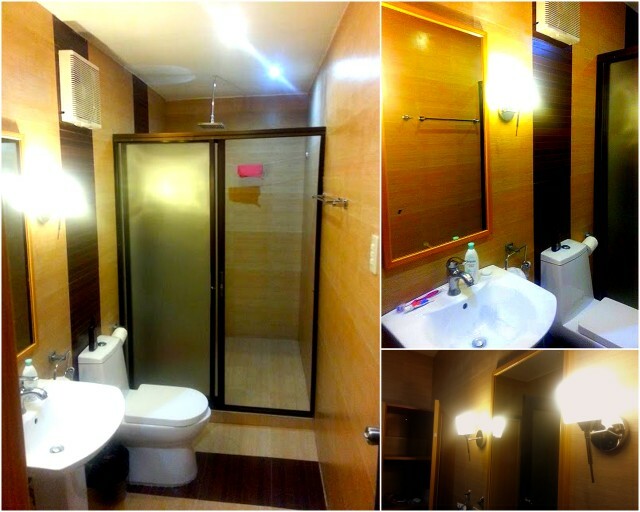 Let me sum it up this way – 5- star grounds and amenities, 1-star service. Training in hospitality would be a good idea. It felt like the staff were just randomly picked and placed in the resort to work. On our last night, during dinner, Blanca told us that their manager and another ‘boss’ was there with us in the dining area. About 4-5 tables were filled at that time and it would have been good for their manager and ‘boss’ to have walked around and asked how everyone’s stay was, etc. You know- basics of PR/Customer service. 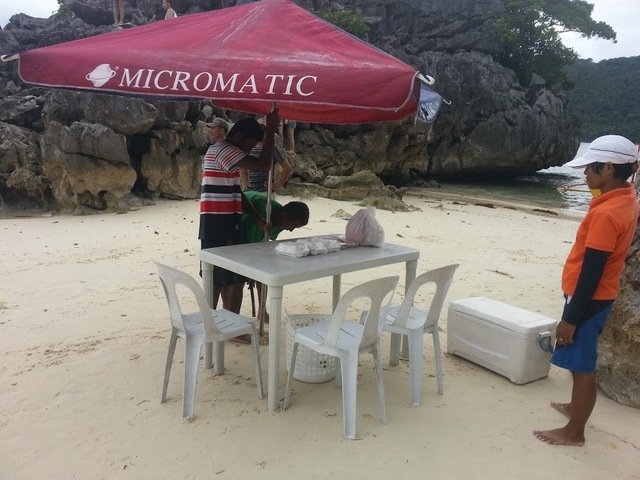 plastic monobloc chairs = instant seat in a boat! While we arrived from Virac on the way to Tugawe Cove Resort, I opted to leave from Naga Airport in order to maximise our time there. Virac would be the easier choice as it only involves a 30 minute boat ride and a 40 minute van ride to the airport. However, there are only 2 flights a day to and out of Virac and if you choose to leave from Virac airport, you may have to leave the resort around 6 or 7am to make it in time. So if you want to make use of your time, you can take the last flight from Naga to Manila at 1630 PM. This is a more arduous journey though. 2 hours by boat, and another 1 hour by van to the airport. Well the reason I took that (as the resort also suggested), is so we can relax more. Or so we thought. 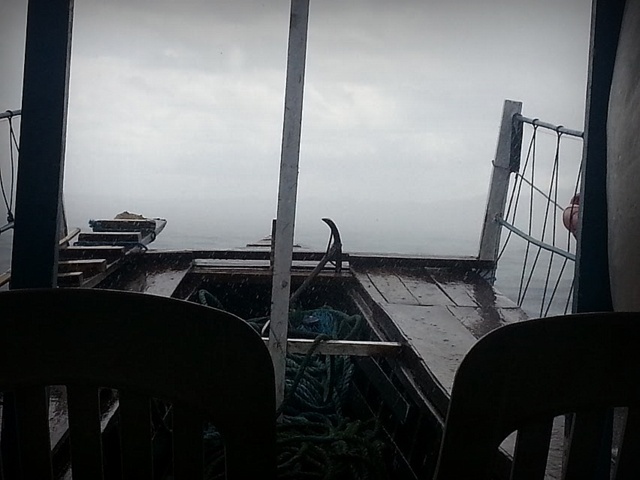 Remember how I told you about the moody weather of Caramoan? Well it made another cameo appearance on the afternoon we left. Those storm spells came again. Strong winds, waves, and rain. Visibility was really bad. And what happens when you combine bad visibility + running boat + no telescope/gps on the boat (nor were we expecting the boat to have one!) ?? Our boat hit the ground and we were stuck. We stalled for about 30 minutes, our boat rocking side to side. 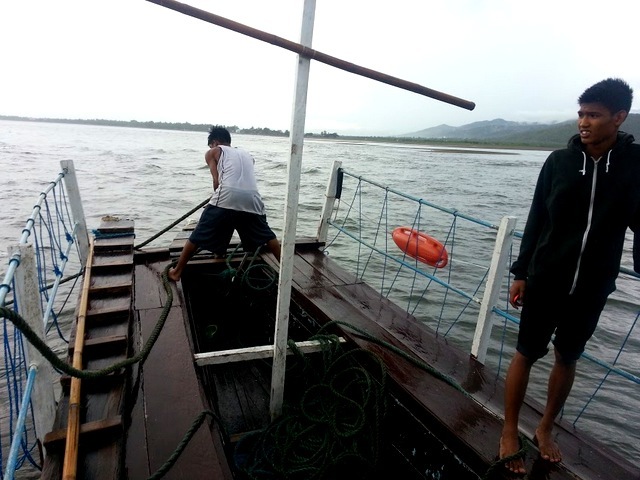 Then a young man named Jerson, who introduced himself as the boat steward, borrowed our mobile phone to contact the resort to advise what happened. Later on, another boat came to try to tow us. 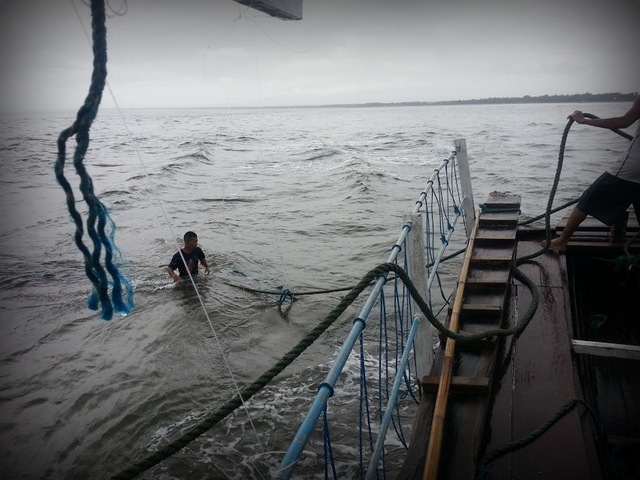 Because the other boat couldn’t come too close to us (lest they be stuck like us too), they stayed a good distance and the staff/boatmen connected a rope from one boat to the other. So you think boat-towing at an angle is simple enough? 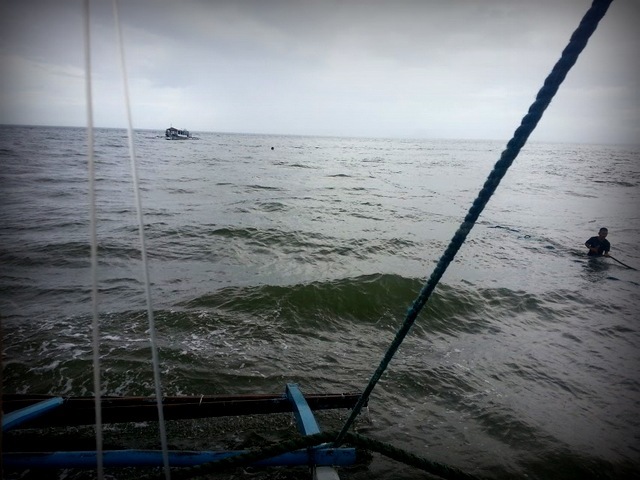 No way- because we were faced at different angles, the other boat could only pull us from the side. And in doing so, our own boat almost tipped sideways in the several attempts. (Final attempt- the rope snapped) and myself and another female passenger told them to stop the towing effort as it was just too dangerous. I wasn’t scared of drowning – we were in waist deep waters. But I was more scared of things knocking you should we really tip over. Plus we had my 67-year old mom with me, who at this point was very shaken and clutching her rosary in muttered prayers. Finally, we called upon a fisherman who had a teeny tiny one-man boat (with no motor), and kindly asked him if he could transport us one by one to the bigger boat. We obviously made it to safety as I’m now safe in the comforts of my bed typing about this mini-ordeal. But the stress…THE STRESS. Not to mention that by this time it was already 330PM and our flight was at 430PM and we still had to take an hour long drive to the airport. Our van pick up was waiting impatiently (the driver wasn’t advised that we were stuck in the sea) and he made a 1 hour ride into half an hour (the van ride in itself was even more lethal. lots of overtaking and near-misses of jeepneys, tricycles, cows, and children, on very narrow roads). But what do you know, we still made it in the nick of time. But again, the stress. OH THE STRESS. made it right before take off. was I ever so glad to see a plane! 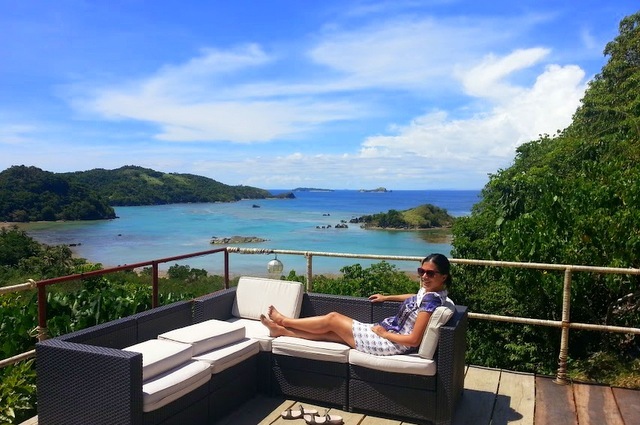 Tugawe Cove Resort is uncommercialised, quiet, secluded, and pretty. But I will only recommend it to you IF AND WHEN they improve their service and transport to consider the safety of their guests. While I understand that nature is beyond anyone’s control, everyone in Caramoan knows that the weather can be tumultuous. And a 2 hour boat ride, even on good weather is no easy feat. They should invest in a bigger boat with bigger motors that can go faster and withstand big waves and bad weather. And they can also get rid of the ‘butler’ service. We would have enjoyed the entire resort experience without it. No need to “poshify” things. It only makes it worse when you are presented with something that just fails to meet the minimum expectation of what it is. Will you stay at a very pretty resort but short on service? Or would you rather stay at a standard resort with exceptional service? I have enjoyed this wonderful experience of yours. 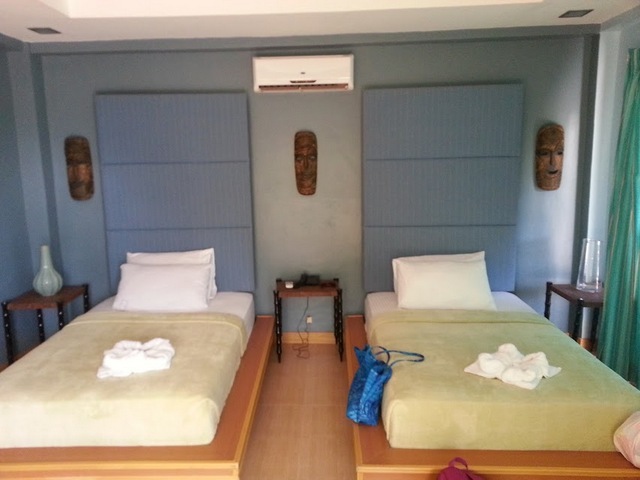 Reading your review makes me as if I was there myself – with all the fascination of the place, the good accommodation, nice food, and most important, swimming in a pool with a picture-perfect view! And oh, the stress as well, which makes the journey memorable after all things are considered. Jerson clearly illustrates that courage is not the absence of fear; it is the ability to act in the presence of fear. He is truly commendable. Hi Uncle! Thanks for visiting 🙂 Re: “courage is not the absence of fear; it is the ability to act in the presence of fear” Yes, perfectly said! I feel bad that I wasn’t able to personally thank Jerson because in the midst of all the stress and hurrying to make it in time for the flight back to Manila, we weren’t able to properly say goodbye. I will email this to Tugawe Cove Resort. That’s one employee to be proud of! I was there in Tugawe with my family last June. Though it is very pleasing if you are into the “nature” kind of thing, I wouldn’t recommend this to Senior Citizens and those vacationing with children. We counted the steps from the first step to the restaurant and it is a total of 226 steps. My parents had to stop multiple times on our way to the restaurant. I also had to stop as I was having knee problems and my 2yr old baby had to be carried whenever she gets tired. Good thing though is that your “butler” can bring you your food if you don’t like to go up the restaurant. 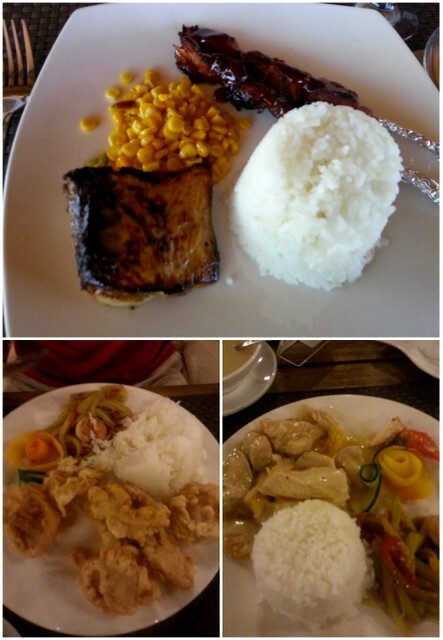 For us the food was not that great but at least not that bad as well. I hope they clean up their beachfront as it is very rough and rocky. 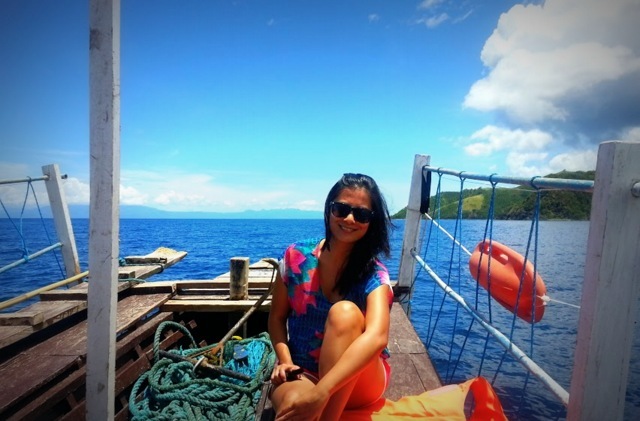 To enjoy the beach, you have to go island hopping. On a scale of 1-10, I grade our stay there a 6. Hi Boogie, thanks for sharing your experience. You couldn’t have said it more perfectly– Not recommended for the elderly and children! The steep stairs can still be laughed off but the boat incident, we were really haggard by the end of the day. But thankful to have made it! WOW thats a bit of a rough ending! I love to hate the ocean, its a pretty scary place! Im glad it all worked out for you though! I love the pool floaty thingys ! HI Sam yes it definitely added to the ‘adventure’ factor. However at the time I was just so stressed! LOL 🙂 Yes their pool was really nice at least! Hi,I log on to your blog named “YouTube” regularly.Your writing style is witty, keep doing what you’re doing! And you can look our website about love spells by victoria.